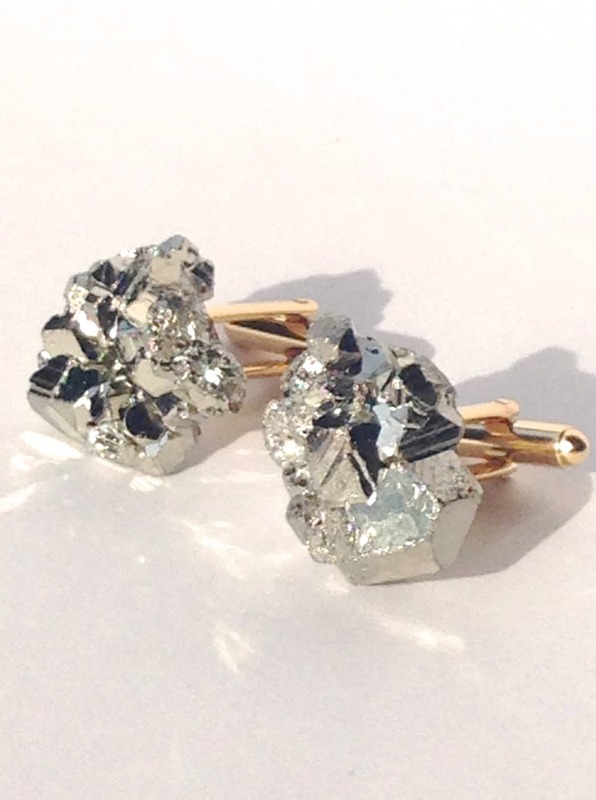 Pyrite Cufflinks are a unique accessory for men. 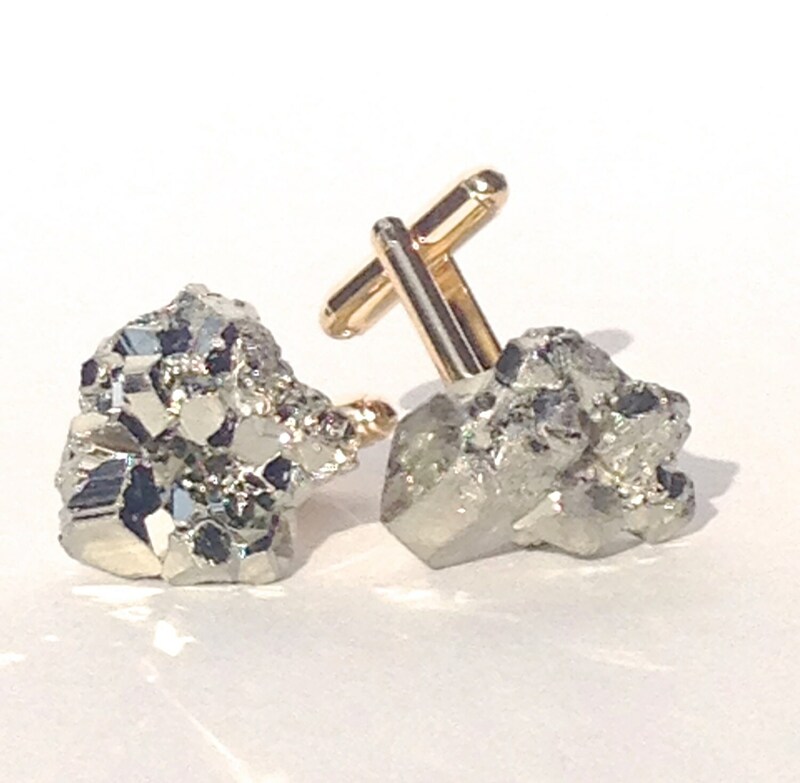 Pyrite, otherwise known as Fool's Gold, is the stone of action, confidence, positivity and will power. 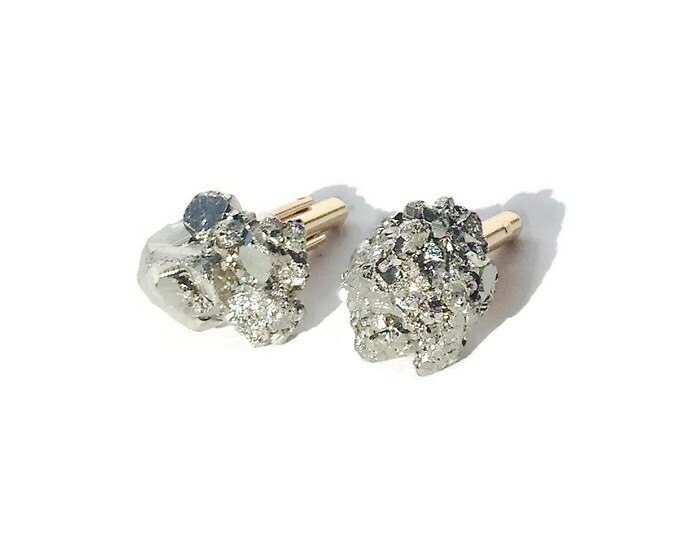 Pyrite is known for attracting luck, success, fearlessness, creativity and clear-thinking! 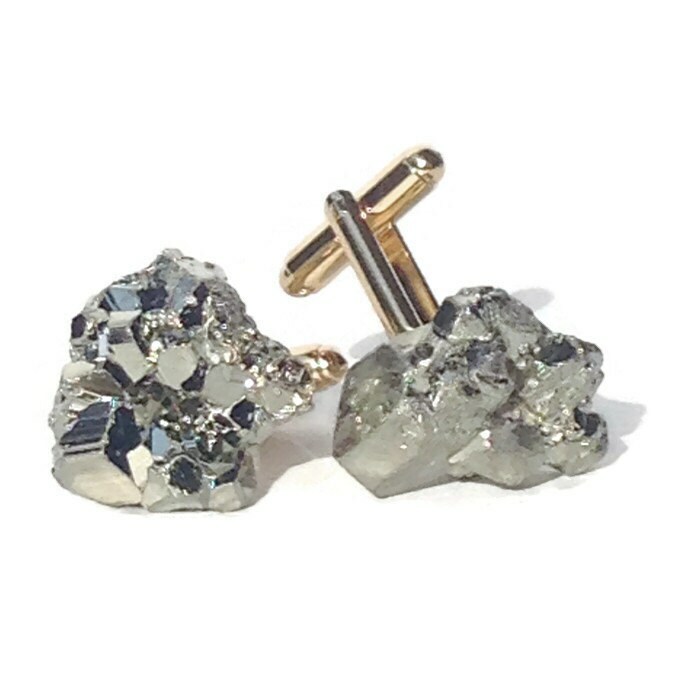 Our pyrite cuff links are a sure attention getter, but always remain classy because we professionally clean our stones with a cutting-edge polishing technique to achieve a high-end, yet natural aesthetic. They really shine like no other! *****If you want a few sets for groomsmen gifts, please send a message and I will give you a special price and posting. exactly what I wanted...perfect match with my sideboard.